After a fairly long break, Bay finally brings back life to Northeast Monsoon with some decent spells of rain to Chennai and surrounding areas since yesterday. 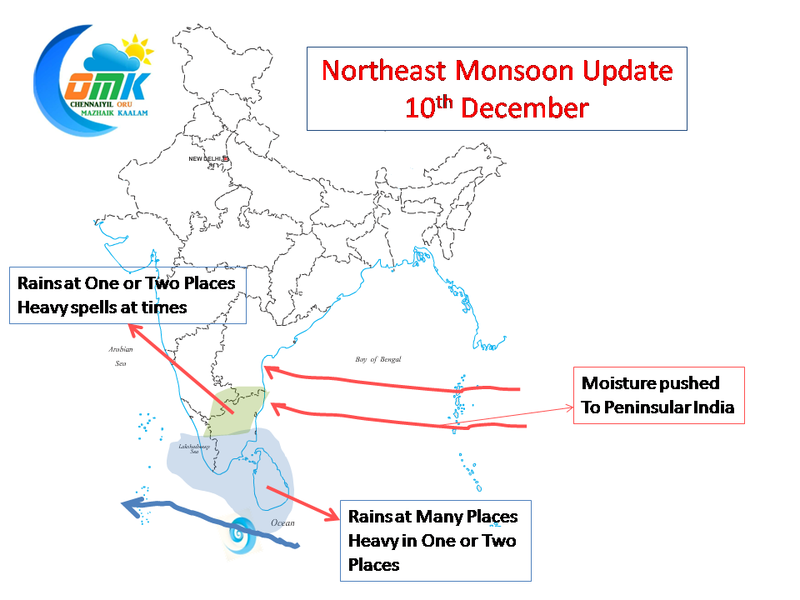 Crucially it has provided some extremely heavy rains to South Andhra Pradesh which has come as a boon which was reeling under a huge deficit for the year. 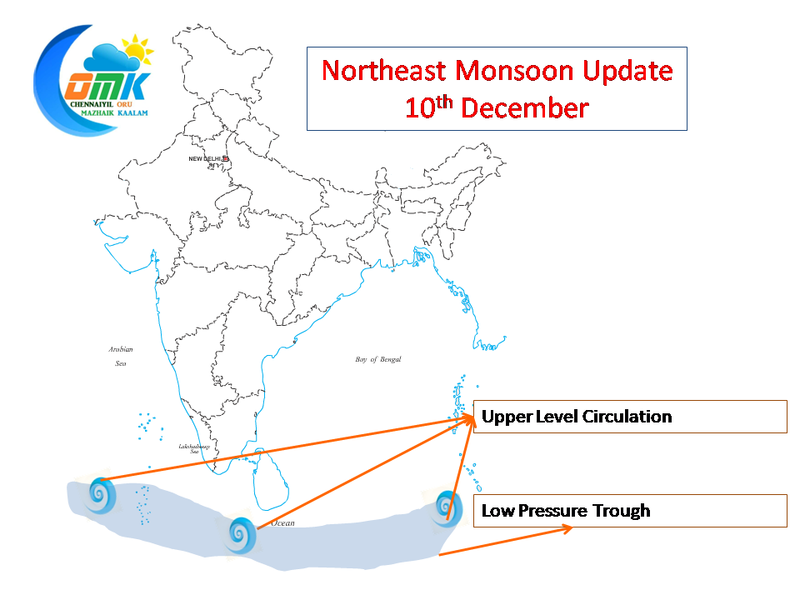 North Indian Ocean is now sporting a huge low pressure trough all the way from Arabian Sea to Andaman Islands with three different Upper Air Circulation showing developments. IMD has confirmed this low pressure and possibly expects the one off Sri Lanka / Indian Coast to develop over the next 24 to 48 hours or so. This is going to trigger rains across South Tamil Nadu with some places possibly getting heavy rains as well. 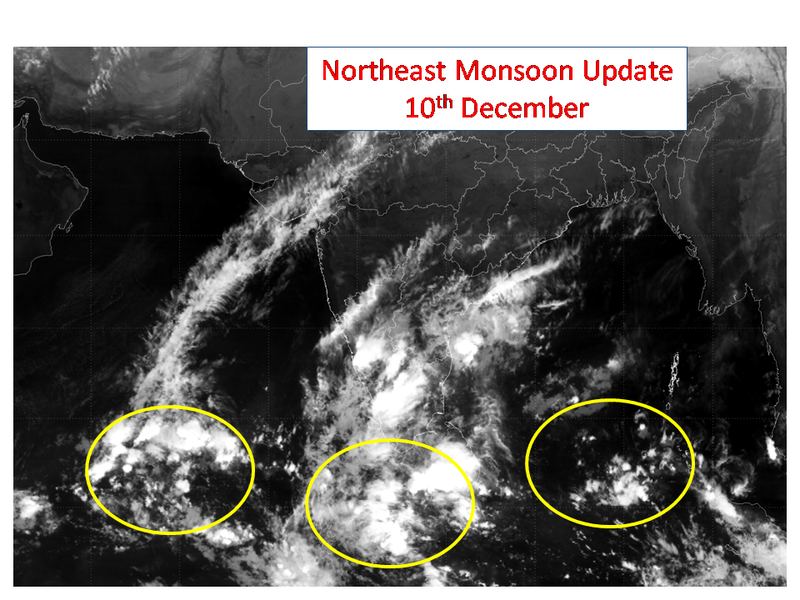 As it shows development and possibly moves in a westward direction towards the Arabian Sea it could possibly trigger some moisture incursion from Bay of Bengal to Arabian Sea over the Peninsular Coast providing some rains to North Coastal Tamil Nadu & also Interior Tamil Nadu as well. Though this is not absolutely certain Chennai could continue get some occasional rains over the next day or two. Further rain prospects hugely hinge on which of the three disturbances in the Bay picks up intensity and becomes the guiding system. Patience is a virtue as often repeated, with weather there is no substitute to patience.